The force of Star Wars has always been with us, or so it seems. For forty years there’s been a Star Wars movie that’s either just been released or about to be released. So it is this year, and so it was at Christmas 1983 when “Return of the Jedi” was still in theaters. All that a young Jedi might dream about could be found in six pages of the Sears Wishbook from that year. Luke! Leia! Han Solo! C3PO! R2D2! Ewoks! Admiral Akbar! Squid Head! (Squid Head?) There are plastic playsets, model spaceships, “laser pistols”, pajamas, bedspreads , trash cans, card games. There’s even a Star Wars guidebook to those new home computers. 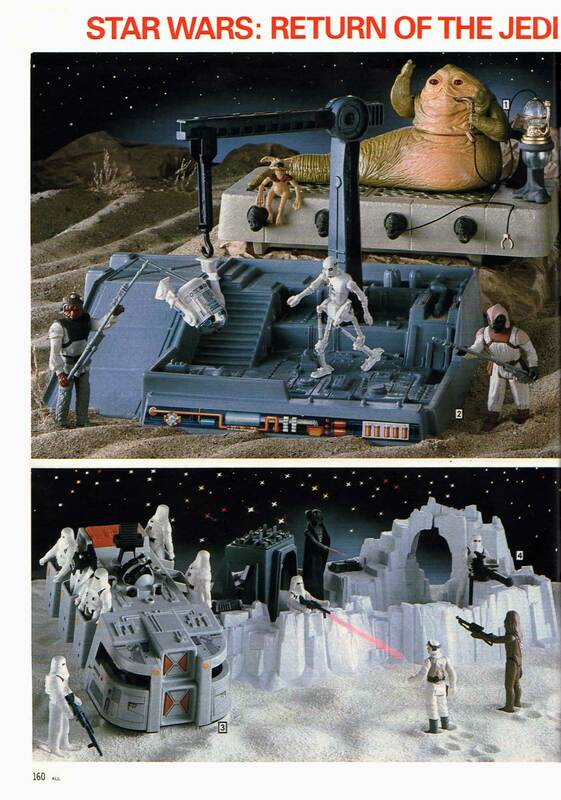 Well worth clicking the pictures to zoom in these two pages of plastic action-figure glory. But you will find no lightsabers. We’re also decades away from toys like the iPhone-app-controlled BB-8 droids. 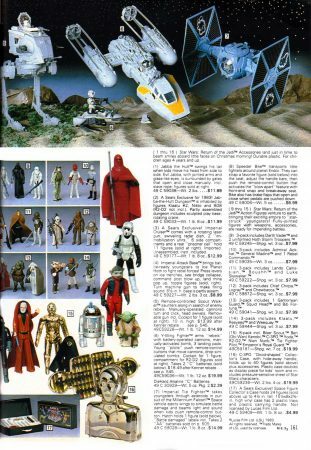 A simpler catalog, for a simpler time. Nothing priced at over $19.99 or requiring anything fancier than a couple of C-cell batteries. That was thenm this is now – some of those toys, now over 30 years old, are woth hundress of dollars to collectors. And the universe of Star Wars merchandise has expanded with the speed of light. But what does it tell us about 1983 that Garfield – the cartoon cat – was also allotted six pages of toys and merchandise in this same Christmas catalog? Who’s the real master of the universe? Me-ow! Previous Previous post: Where have “baby sleighs” gone?